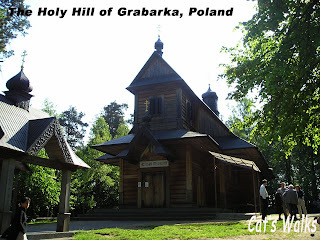 Located in the eastern part of Poland, near the town of Siematycze, The Holy Mount of Grabarka (also Holy Hill of Grabarka) is considered to be the most important sanctuary in Poland for Orthodox Christians. 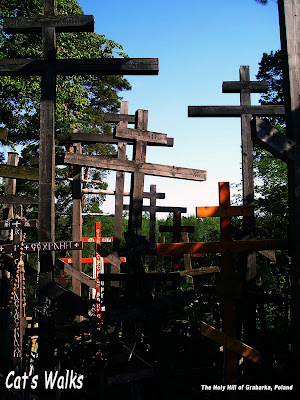 The most distinguishing feature of this place is the mass of crosses surrounding the church brought by pilgrims to get salvation and good health. The site itself had been considered scared for 700 years but unfortunately the monastery burned down in 1990. It was reconstructed almost immediately. What is strange though is when I went inside the monastery, I didn't have a feeling of "new". I came here as a sidetrip of one scientific meetings I went to so I have no idea how to get there by public transportation or by car. We were nicely transported in a big bus from Bialowieza.